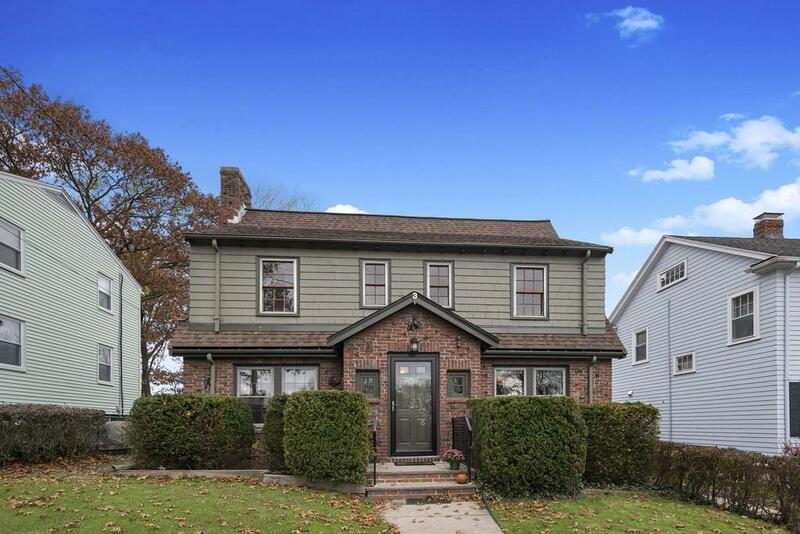 Beautiful renovations of an elegant Dutch Gambrel in sought after Moss Hill. From the graceful center entry, every surface has been touched. New interior and exterior paint, new eat in kitchen, ceramic floors and quartz counters, upgraded baths, refinished gleaming hardwood floors, and lighting. Generous proportioned beamed living room with fireplace leads to a serene rear office with sliders onto the back deck. The dining room boasts natural woodwork, moldings and built in hutch. Front to back master suite with walk in closet, bath and direct access to a sweet private balcony. Retreat to the cozy lower level family room with fireplace. Lower level also has a great workshop bench area, laundry and storage. Level yard with a two bay garage complete the package. 2017 direct vent heat system and on demand hot water. Steps to Arboretum, Pond, close to Medical areas and JP's vibrant Centre St restaurants and shops!